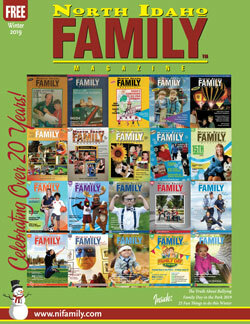 NIFamily.com is the companion website to the North Idaho Family Magazine. The Magazine, the North Idaho Charitable Events (N.I.C.E.) Calendar, and the comprehensive Services Directory are three tools used by the North Idaho Family Group, Inc. (an Idaho nonprofit, 501(c)(3) corporation) to promote a mission of “healthy families and lifelong learning” in the communities of North Idaho. Visit NIFG.org for more information. For easy event-planning, the calendar below displays BENEFITS & FUNDRAISING EVENTS only. 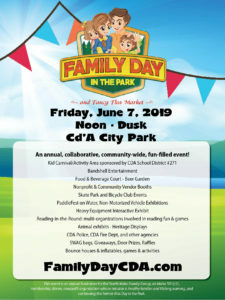 View the full calendar with other family-friendly events. The North Idaho Charitable Events (NICE) Calendar is a comprehensive listing featuring events and fundraising activities from area nonprofit agencies. Created in 2008, it’s your go-to source for promoting and planning fundraisers and all other events. POST your events here as soon as your dates are confirmed. USE it to plan your event, avoid duplication and get better attendance.